The attorneys in the Alaska Personal Injury Law Group have a combined 85 years of experience in providing effective, intelligent and ethical representation to individuals throughout the State of Alaska. They have honored their clients' trust by tenaciously and creatively seeking the maximum compensation for their clients. These Alaska personal injury lawyers have compiled a remarkable record of jury verdicts and settlements, including many of the largest jury verdicts and settlements in the history of the state. The Alaska Personal Injury Law Group is part of the law firm of Atkinson, Conway & Gagnon, Inc., one of the oldest and most respected law firms in the state. As part of a larger and well-established law firm, the Alaska Personal Injury Law Group has the economic strength, technological assets and trained professional staff to successfully litigate against large and well-financed defendants throughout the State of Alaska. 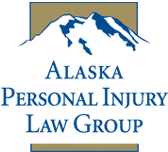 Attorneys at the Alaska Personal Injury Law Group have handled cases from Ketchikan, Petersburg and Juneau in the Southeast; Anchorage, Palmer, Wasilla, Seward, Kodiak and Kenai in Southcentral; Dillingham, King Salmon, Naknek and other Bristol Bay communities in the Southwest; Fairbanks, Bethel, Barrow, Kotzebue, Nome, and the Interior villages and the North Slope oil fields. The attorneys at the Alaska Personal Injury Law Group will evaluate the facts of your case without charge or obligation and will generally handle cases on a contingency fee. Contact the Alaska Personal Injury Law Group to learn how our Alaska personal injury attorneys can help you. Copyright © 2019, Atkinson Conway & Gagnon, Inc.